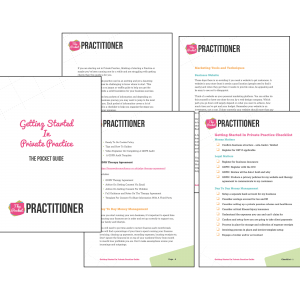 The blog below is a summarised excerpt from the ‘Getting Started In Private Practice – The Pocket Guide‘, which has been compiled by Sarah D Rees and Sophie Wood, Buzz Web Consultancy. It is a 40-page comprehensive getting started guide full of tips and advice on where to focus your efforts and how to get the best start for your therapy business based on real-life experience. what about a therapy room? how do I go about marketing my business? Getting answers to these questions takes time, effort and cost at what for most of us can be a stressful but exciting time. You want to make the right choices the first time. Your first step in setting up your business should be to decide whether to set up as a sole trader or limited company. More than likely if you’re just starting out a sole-trader route will be the best business structure for you. The main advantage is simplicity – simple to set up with HMRC and requires minimal yearly paperwork. Tax-wise whilst not the most efficient long-term for a successful practice in the first 2-3 years it will be the best all-around option on balance. If you go as a limited company from the start or later on the best advice is to engage an accountant. 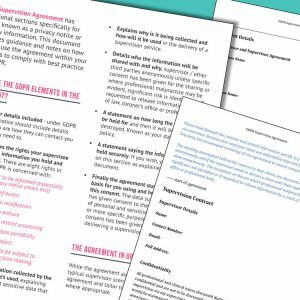 The different elements of documentation required throughout the year for a limited company outside of your own self-assessment submission can be overwhelming. At the very least engage an accountant at the start of your limited company setup and then shadow what they do for a few years before you consider taking it on yourself. Ensure you take out insurance to protect you in the event a claim is ever made against you for professional negligence or malpractice. This is known as indemnity insurance. 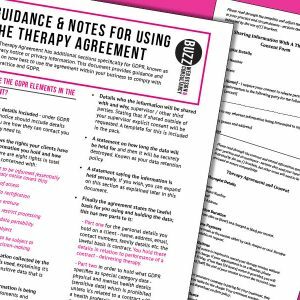 As a therapist working in private practice with clients discussing mental health matters you will collect and store personal and sensitive data (physical and/or mental health details) so you need to be up to speed on all matters data protection related – as of May 25th 2018 that means GDPR – General Data Protection. There is a lot to understand, what your key obligations are, how you store and look after data you hold, to how you communicate with your customer about the data you hold and what you do with it. 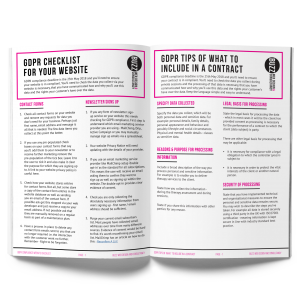 Needless to say, one of your tasks when setting up in private practice is to understand GDPR and how you’ll implement it within your business to be compliant. The following are links to products that will help you in this space and save you time. Once you start running your own business, it’s important to spend time ensuring your finances are in order and set up correctly to support you, your family and lifestyle. You will need to put time aside to review finances each month/week. You will find a percentage of your time is spent running your finances invoicing, chasing up payments, recording expenses, locating receipts etc. Don’t ignore the finances be on top of your numbers! Know from month to month how profitable you are. Don’t make assumptions review your incomings and outgoings. Set up a separate bank account for your private practice earnings so you’re not tempted to spend it when in fact its needed for the taxman or to cover other outgoings. Consider the methods you’re going to use to take payments from clients. Next, you’ll want to look at the equipment you need to run your practice. You’ll need a telephone or mobile separate to your personal number, a laptop or desktop computer, a printer/copier, internet access and business stationery. For secure online storage and productivity tools (word processor, email client and spreadsheet software) then look to Google G-Suite For Business or Microsoft 365. Working out what to charge customers is the subject of much debate, and there are various ways of establishing the fee – from checking what your competitors charge, geographic location, overheads and finally a finger in the air calculation based on what you’ve earned in previous employment. Best advice is to do your research and ensure whatever fee you charge is covering your costs. A simple fee calculator is offered in the pocket guide to help in this space. Before you can begin to market yourself and attract the right customer’s you have to know who it is that you are trying to attract and why. It’s about getting your marketing messages all aligned. To do this you need to understand – what your core values are – why you do what you do, what your strengths are (and weaknesses), who is your ideal target customer, who do like working with and develop this into your personal branding message to attract the right clients. It will also feed into the business name you select (see more on this below). It’s easy to overlook this step and not really sit down and think about what it is that makes you different to the competition, not necessarily better, just different and who is this going to appeal to. Once you know this you can build your marketing efforts around this target market and ensure your messages are consistent. You don’t want to appeal to just everyone as you’ll end up appealing to no-one and your marketing, branding and message will become unclear. Is It Taken? – Check the domain name is available for your website – 34SP allows you to check if a name is available from their homepage. https://www.34sp.com/. Also check that name is available for use on Facebook and Twitter or other social media platforms you might use. Is It Simple? – Try to keep a business name simple so it’s memorable. Also, don’t use words that people commonly misspell. This increases the chances people won’t find you. Is It Easy To Say Out Loud? – Ensure your name out loud isn’t mistaken for anything else. It has clarity. Do You Like It? – You’ll be saying it a lot say best to like it! Does It Make Sense For Your Business? Ensure the business name says what you do if possible. Now you have a personal brand and know who your ideal client is your ready to start marketing your business. These days there is no avoiding it you need a website to get customers. A website is your storefront it needs a good location (people need to find it easily) and when they get there it needs to provide value, be appealing and be easy to use not to disappoint. Think of a website as your personal marketing platform. 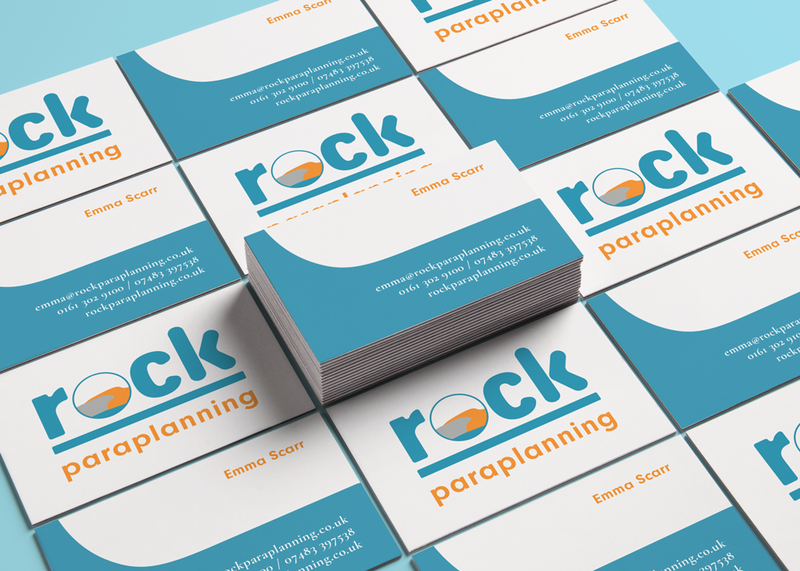 You can either do this yourself or have one done for you by a web design company. Which path you go down will largely depend on what you want to achieve, how much time you’ve got and your budget. Remember your website is an investment, not a cost. If done correctly your website should more than pay for itself in the first year of operation. It’s important to remember that in order to attract traffic (customers) to your website needs to be attractive to Google and in turn your customers. You can do this by offering fresh, new content on a regular basis, this can be in the form of news, advice, tips, guidance articles or educational downloads from your site. Always remember to keep your website topped up with new content and ensure you advertise it on your social media profiles. Getting found online, most people these days when looking for a service will reach for the laptop or mobile and start a search online. The words they type in and you want to be found for is the unnecessarily complicated topic of search engine optimisation (SEO). Needless to say, to get started with websites and SEO you need to ensure that your website contains the words you want to be found for by your customers on Google. If you want to be found when someone searches for ‘CBT therapist’ then make sure this phrase is used on your website both in the content (headlines, body text and image names). Also, on the back end (known as meta title and description – your website designer/developer should handle this for you so don’t worry about the terms, just make a note to ask about it.) These are known as ‘keywords’. Social media is a great way to expand your customer reach, and the best advice is to find out where your customers are on social media – Facebook, Instagram, Twitter or LinkedIn and focus on one or two social profiles consistently. Overstretching yourself across many platforms will reduce your ability to be effective and use precious time. So pick your platform(s) carefully. It’s worthwhile to register with the healthcare providers, registration can be convoluted but worth sticking with as it can make a difference to your business. 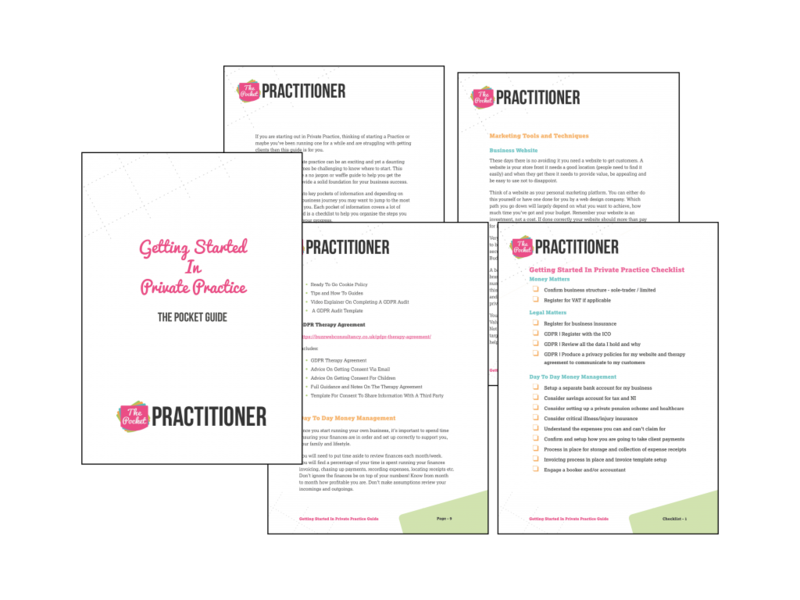 For a list of 27 referral agencies that are worth registering with see Getting Started In Private Practice – The Pocket Guide. Networking is one way to increase your client base; you can look to attend courses and professional meetups to get yourself known to other therapists that may lead to referrals. Equally don’t overlook regular meetings and events where your target customers might be – local business groups, contacting GPs, solicitors etc. These are excellent places to get yourself known. Prepare a short pitch, your name, how you help people, your services. Keep it brief and try to make it memorable. Always have business cards to back it up. 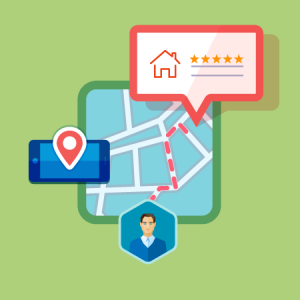 Getting Reviews and Testimonials getting feedback from your clients is important it establishes customer trust improves your search results and helps ensure a potential the visitor turns into a client. Have a process in place for how and when you collect feedback. Make it as easy as possible for the client to provide feedback. 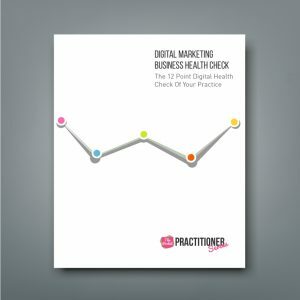 Hopefully the above has given you an idea of the key areas to concentrate your efforts in to get your practice running effectively and profitably as soon as possible. To purchase the full guide Click Here.